Nearly two dozen demonstrators who criticized police for stopping and frisking people on city streets are gearing up for one of New York's biggest political protest trials in recent years, at least in terms of sheer numbers. 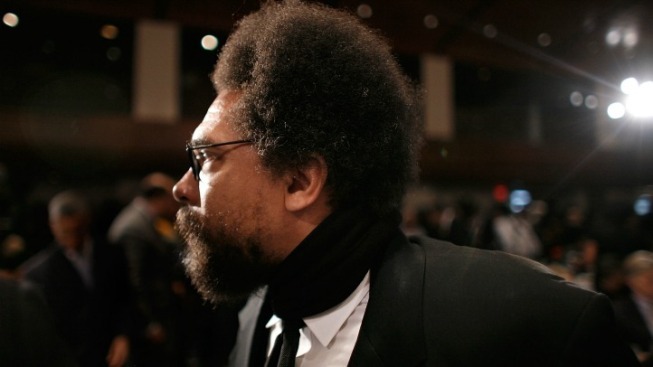 Twenty-two people arrested at an October protest, including prominent Princeton University professor and civil rights activist Cornel West , are scheduled to go on trial Monday. The case could become a forum for airing complaints about the street stops of hundreds of thousands of people, mostly minorities, each year. At least since the famous trial of the Chicago Seven in 1969 and '70, group trials have held appeal for some protesters who see an opportunity to spotlight and amplify their message, though at the potential cost of a conviction and jail time. "We are going to trial, and willing to go to jail, because we love the young people" who primarily are the subjects of the street stops, West said by phone Friday. He has called the upcoming trial "a platform to highlight stop-and-frisks." Police say the stops are crucial for fighting crime; critics say they reflect racial profiling and often are made without proper cause. Blacks and Hispanics make up about 87 percent of those stopped, but 53 percent of the city's overall population. West, a professor of African-American studies and the author of books including "Race Matters," and about 30 other people were arrested on disorderly conduct charges Oct. 21 outside a Harlem police station. The group carried signs urging "stop stop and frisk!" and chanted "stop and frisk has got to go!," among other messages. Police said the demonstrators blocked the sidewalk and the entrance to the police precinct and ignored orders to leave. "Pedestrians had to walk onto the street to get around" the group, according to a criminal complaint. They don't concede they broke the law; one of their lawyers, Paul L. Mills, says the evidence will leave "reasonable doubt that they committed any (offenses)." While notable, the tally isn't a record. Some 42 protesters opposing Navy military exercises then conducted on Vieques island, in Puerto Rico, went to trial together after being arrested in demonstrations outside the United Nations in 2001; about two-thirds were convicted, according to their lawyer, Martin Stolar, who also represents some of the stop-and-frisk demonstrators. Another noted trial featured 18 members of an anti-war group called the Granny Peace Brigade, who were arrested after demonstrating at the Times Square military recruiting station in 2005. The women, some as old as 91, were acquitted of disorderly conduct after a trial in which they expounded on their views on war, activism and free expression. Lawyers for the stop-and-frisk protesters say they plan to argue that if they protesters did anything illegal, it was to prevent something more harmful, a legal principle known as a justification defense. Political protesters have tried it before in various locales, with mixed results. Many courts have rejected such arguments, according to Robert F. Schopp, a University of Nebraska College of Law professor and the author of "Justification Defenses And Just Convictions," published in 1998. Sometimes, courts have said the demonstrations were too remote from the harm they aimed to address — a protest in Washington over conditions in a foreign country, for instance. Judges also have reasoned that demonstrators could have pursued their concerns through other, legal avenues, such as lobbying or suing officials. But some protesters have indeed persuaded judges that their actions were warranted, including a pro-bicycling group that blocked an entrance to a New York City bridge to protest traffic-related pollution in 1990. In the stop-and-frisk critics' case, "we have a demonstration right at a police precinct that says to the police officers, 'Hey, stop doing this' ... so the connection is much more direct" than it is in many protests, he said. Police conducted a record 684,330 stops last year, 14 percent more than in 2010 — and more than seven times the total a decade ago. Those stopped were questioned and, often, frisked. Just 12 percent of last year's stops resulted in arrests or summonses. They also turned up more than 8,200 weapons, including 819 guns, police said. Police say those stopped met crime suspects' descriptions or were doing something suspicious, like moving furtively or carrying a pry bar. The U.S. Supreme Court has said it's legal for police to stop and question people based on "reasonable suspicion," a lower standard than the "probable cause" needed for an arrest or summons. Disorderly conduct is a violation, not a crime, but the stop-and-frisk protesters could face up to 15 days in jail if convicted. The Manhattan district attorney's office had no comment on the case Friday.